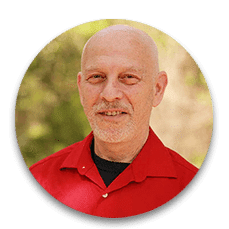 Stuart (Piyush) Sovatsky brings a heart-centered wealth of knowledge through his own personal experience of our lineage as well as a lifetime of experience as a leading psychologist, bestselling author, researcher and lecturer. Degreed in Religion from Princeton University with contracted publications with Columbia University Press and SUNY Press, Stuart has created events with The Office of the Dalai Lama, Sri Sri Ravi Shankar, BKS Iyengar and Robert Thurman. Widely respected for 45 years of clinical experience with “spiritual emergence” and as a pioneer of “incarceration yoga” recognized by Ram Dass Prison Ashram, he is an Acharya (spiritual leader) on tantric and bhakti yogas, kirtanica and is called around the globe to lead others in his depth of wisdom, including private audiences with the Chair of Unaligned Nations of the World and with post-apartheid South African Healers. He is an expert on the history of the Lakulish-Kripalvanand-Desai Shaktipat Lineage and we are honored that Stuart (Piyush) has made his home base near the Amrit Yoga Institute and serves as our Scholar-in- Residence, bringing in the richness of scholarly understanding to the history of our lineage, and our roots in energetic yoga (Kundalini). His love of bhakti yoga (the yoga of devotion) expressed through music, chanting, feeling and melody transports you to deep healing and non-verbal unification. He recently created the Sangeet Bhakti-Tantra Sadhana Retreat at Amrit Yoga Institute. His academic publications on Kundalini and Complete Maturation, The Yoga Sutra and other topics can be found at the Academia.edu website below.